Shares of Mattel (NASDAQ:MAT) rocketed higher after the toy maker reported strong holiday quarter numbers that included impressive margin improvements and a surprise profit. Investors rallied around that surprise profit, and bid up MAT stock by more than 20%. The quarter was very impressive, and does indicate that Mattel is in the early stages of a long overdue operational turnaround. All the key metrics are heading in the right direction. Revenue growth is becoming less negative. Gross margins are moving higher. Operating expenses are coming out of the system. Operating losses are narrowing. Overall, the pathway to restored profitability and top-line growth is gaining visibility. This boost in visibility explains the big pop in hugely beaten up MAT stock. But, this post-earnings pop is overdone. At current levels, a Mattel turnaround over the next several years is already priced in. The stock is overbought and fully valued, and the price tag doesn’t seem to price in enough execution risk. As such, I wouldn’t chase this rally. A pullback is coming because current prices are not supported by long-term fundamentals. Mattel beat both revenue and earnings estimates in Q4, the company’s first double beat quarter in nearly three years. The toy maker reported a surprise profit in the period, as gross margins expanded by more than 14 points year-over-year, and finished the year at 40%, above the guide for high 30’s gross margins. Also, this is the second consecutive quarter that gross margins have improved year-over-year, and the rate of that improvement is only getting higher. SG&A and marketing dollars continued to come out of the system, as total operating expenses fell almost 20% year-over-year in Q4. Revenue growth trends improved, led by robust growth in both Barbie and Hot Wheels, and gross sales fell just 9% in constant currency. Moreover, 8 points of that drop was from the Toys “R” Us liquidation, while another 2 points was from the China slowdown. In other words, if you remove those two headwinds, revenue actually grew by 1% year-over-year in the quarter. Operating losses were halved, from a $200 million-plus loss last year to a roughly $100 million loss this year. Also, last Q4’s $160 million operating loss, swung to a $115 million operating profit this Q4. Investors are rallying around enhanced long-term profit and growth visibility. They should. MAT stock deserves to trade higher on that news. But, in the big picture, this was a $9 stock at the beginning of the year. Now, it’s up above $15 (about the price of its iconic Barbie doll). That’s a 65%-plus rally in just over two months. Plus, revenue growth is still negative, gross margins are still well off their highs, the company still isn’t profitable, headwinds remain in the toy industry, and there’s still a ton of debt on the balance sheet. So, while the Q4 earnings report was good, it wasn’t a panacea. There are still lingering issues here that could keep Mattel from turning into a positive revenue growth and profitable company. Nonetheless, even if you fully ignore those issues, MAT stock still isn’t worth more than $15 today. At best, this is a low single-digit revenue grower over the next several years, with growth likely hovering around 1-2% per year. That would put sales around $5 billion by fiscal 2025. Gross margins have runway to improve during that stretch, and the opex rate has room to fall with disciplined spending. All in all, Mattel could reasonably do about $1.50 in EPS by 2025. Based on a market average 16x forward multiple, that implies a 2024 price target of $24. Discounted back by 10% per year, that equates to a 2019 price target of below $15. 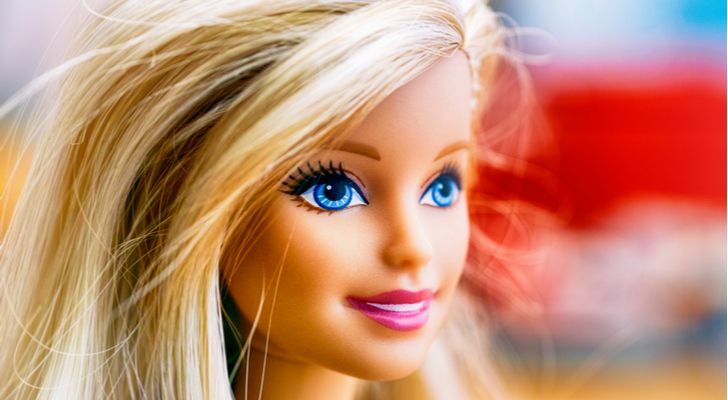 Mattel’s fourth quarter earnings report was really impressive, and increases visibility surrounding this company’s turnaround efforts. But, the post-earnings pop in MAT stock is overdone, and the next move in this stock will likely be lower.